Please condider buying Sukori bottles for your family and loved ones so that you can enjoy clean tasting and uncontaminated water, just the way it was always meant to be drunk! 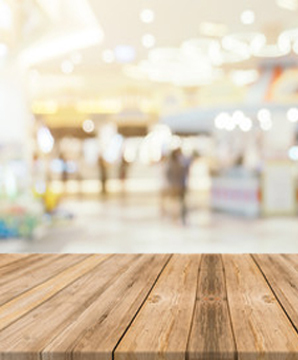 lean drinking water is one of the best things you can do for your health. Unfortunatly tap water and many bottled waters are contaminated by Industrial Chemicals, heavy metals and toxins. Sukori has two missions... Firstly to reduce the tons of plastic waste created by the bottled water industry, poulouting our environment and destroying our marine life and natural habitats. And secondly to provide clean uncontaminated drinking water to sustain our health and life. Its Ag+ ACTIVATED CARBON FILTER filters the water taking Flourde, Chlorine, Coloiforms and other contaminates and heavy metals out. Both NSF and SGS test results show the bottle removing nearly 100% of these impuritese that affect our health so badly. Harvard University researchers proved that Industrial Sodium Flouride found in our tap water is linked to brain damage, lower IQ levels and Cancer. 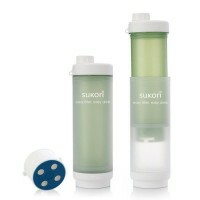 This Sukori bottle can give you the drinking pure, clean great tasting water that you deserve! Using its micro filtration patented filter system increases the surface area of the water whilst it is bieing filtered allowing it to maximise the anount of contaminates that it can filter out. Ofcourse we wanted the product to be BPA free and dishwasher safe too (the filter must be taken out whilst dishwashing) At Sukori we realized that sucking or squeezing water though a filter is limiting and cumbersome. With a Sukori patented bottle you squeeze the water at the beginning through the filter allowing you to freely enjoy 470ml's of great tasting clean water. This is why Sukoari is recognised by Red Dot design. Sukori portable water filter bottle allows you to drink freely without contaminates to restore optimum health. On Average our body is made up of 60% water. It is therefore imperative that we allow our body's to absorb the cleanest water possible both at home and on the go! Abit tricky at first use .